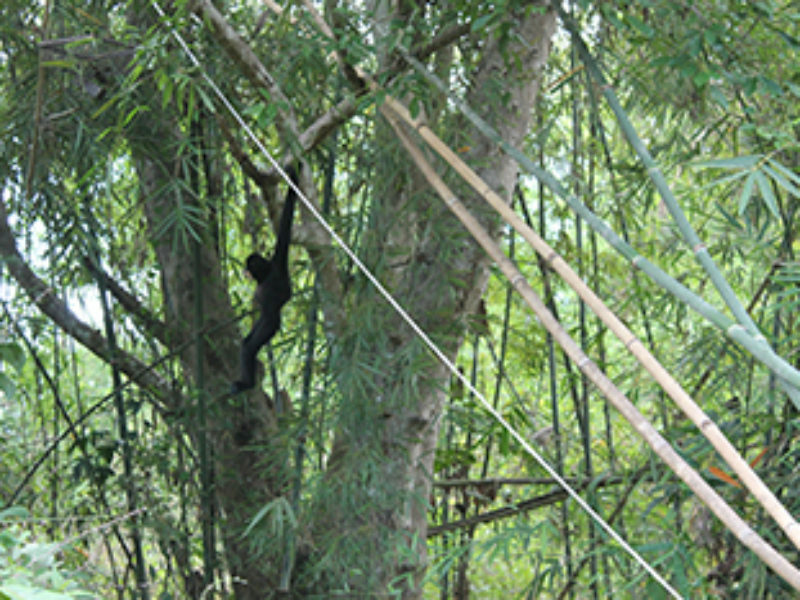 On Dao Tien we now have six golden-cheeked gibbons ready for release, and good forest to release them into. 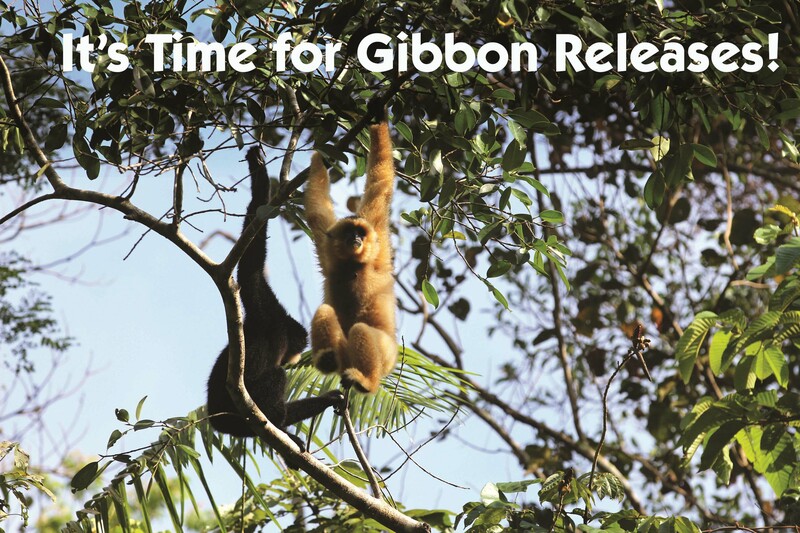 The gibbons will be released in two social groupings; a family group, and a young pair ready for life back in the wild. Kizzy was rescued with a compound fracture to her forearm. The bones had erupted out of the skin and her future looked very dim. 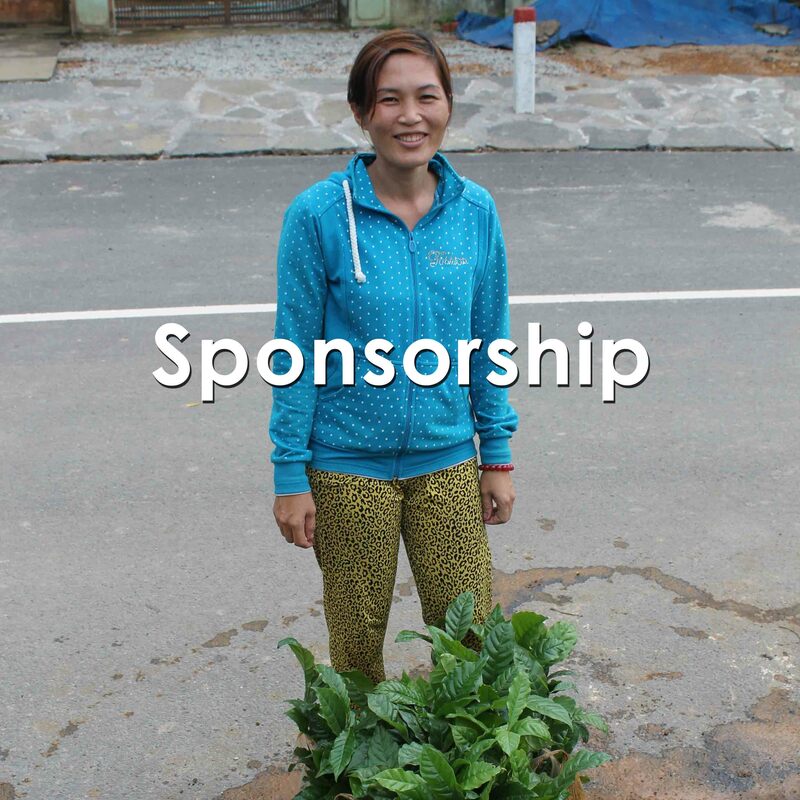 However, with some veterinary care from the Dao Tien team, miracles can happen! With no sign of infection, the bones had aligned, and the skin naturally closed over the wound. A very confident little Kizzy then went on from strength to strength. 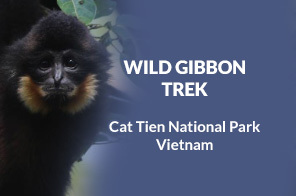 We know wild gibbons break bones and they heal naturally and Kizzy’s broken arm was no different and she now travels superbly through the trees. Kizzy was adopted by Dao, a gentle adult female gibbon, and along with Dong, a young male of the same age, they entered one of our four forested enclosures. Dao, who grew up in the cage, sadly is still not able to travel as agile as a wild gibbon, but for Dong and Kizzy entering the trees at a young age, it is no problem. As young adults who would naturally be dispersing from their family group, they are perfect and ready for release. The final stage is to fit radio collars to the gibbons, which will allow the team to track and monitor the families after their release. After two years, the radio collars will drop off- and the release is complete! Radio collars cost around $3000 each- a huge sum of money. 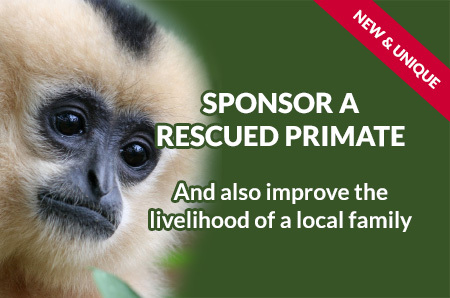 Please donate if you are able to, to help us boost and protect the population of wild gibbons in Vietnam. Signing the agreement from left to right are Dr Marina Kenyon, Mr Nguyen Van Dien, Dr Alison Cronin, and Professor Kurtis Pei with members of the Cat Tien National Park and Dao Tien Centre in support. On the 9th January 2018, Dr Marina Kenyon, (Director of Dao Tien), Mr Nguyen Van Dien, (Director Cat Tien National Park), Dr Alison Cronin, (Director of EAST & Monkey World), & Professor Kurtis Pei, (Professor of Wildlife Science) signed a 5 year agreement to continue the work in Vietnam Cat Tien National Park for another 5 years. 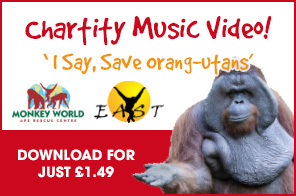 It has been 10 years since the park was originally established to rescue, rehabilitate and release endangered primates in South Vietnam. 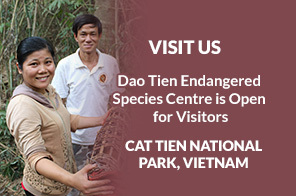 Members of the Dao Tien & Cat Tien National Park teams were there to witness this momentous occasion! Protecting wildlife goes hand in hand with supporting local people. Our new unique package allows you to do both. Thermal camera helping keep up with pygmy loris Rebecca and Dan after return to the wild – you can follow them to! When a gibbon pairing is right, it is so right! Rescuers confiscated Teo, a young male gabriellae (golden-cheeked) gibbon, from a house in Bien Hoa City in 2009. WHERE’S DI DI BEEN AND WHAT HAS SHE SEEN? 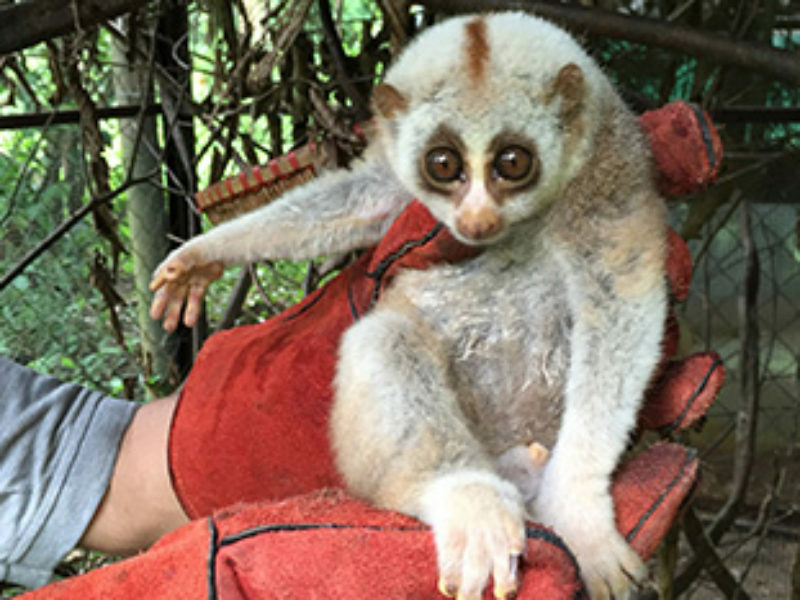 Two “bengalensis (Nycticebus bengalenisis)” loris arrived on Dao Tien. How long had they been in captivity?